STEAM Themes: Songs to Enrich Learning is an educational music album especially for pre-K and Kindergarten children, designed to introduce them to STEAM (Science, Technology, Engineering, Art, and Math). 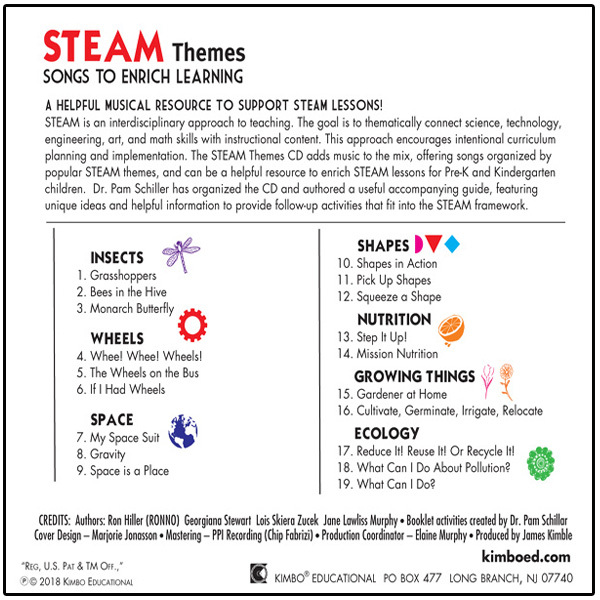 Songs are grouped around the themes of Insects, Wheels, Space, Shapes, Nutrition, Growing Things, and Ecology. 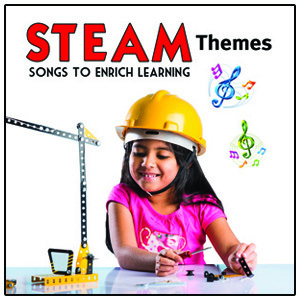 STEAM Themes blends pure musical fun with a developmentally appropriate approach to learning, and is highly recommended especially for public and school library children's music collections. The tracks are "Grasshoppers", "Bees in the Hive", "Monarch Butterfly", "Whee! Whee! Wheels! 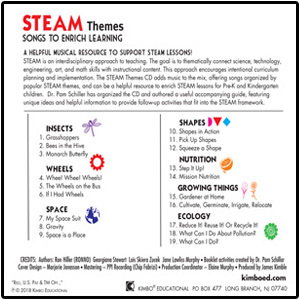 ", "The Wheels on the Bus", "If I Had Wheels", "My Space Suit", "Gravity", "Space is a Place", "Shapes in Action", "Pick Up Shapes", "Squeeze a Shape", "Step It Up! ", "Mission Nutrition", "Gardener at Home", "Cultivate, Germinate, Irrigate, Relocate", "Reduce It! Reuse It! Or Recycle It! ", "What Can I Do About Pollution? ", and "What Can I Do? ".